And this can also be an issue, when you need to know, in general, what your computer is doing. So what do you do now? Do you run around, turning off some computers, just so another computer can connect, or just to see if this computer will stop doing what you're wondering about? Sometimes, that's the only diagnostic left to us, but just maybe you can be a bit more methodical, this time. You can start by identifying who's accessing the server right now. And you can use either one of two tools. The Computer Management - Shared Folders wizard. Computer Management is a tool in the Administrative Tools section of Control Panel. 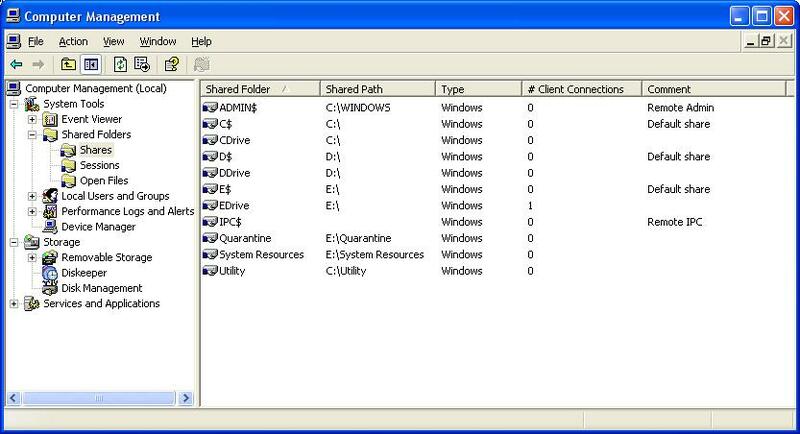 Under Computer Management, you find System Tools, then Shared Folders. Shares enumerates each share on the server, and the number of connections that are in use for each share. This is where you start, when the server has exceeded its connection limit. Sessions enumerates the accounts being used for access, and the remote computers, by IP address. 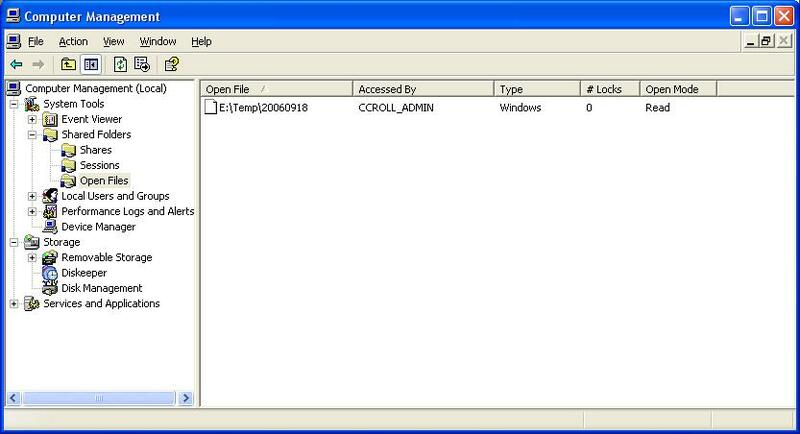 Open Files enumerates the open files and folders, and what accounts are being used for access. The command window based Net command, with 3 of its sub commands, will provide information similar to the Shared Folders wizard. Net Shares enumerates the shares on the server. Net Sessions enumerates the remote computers (by IP address) and the accounts being used for access. Net Files enumerates the shared files or folders being accessed, and the accounts being used for access.